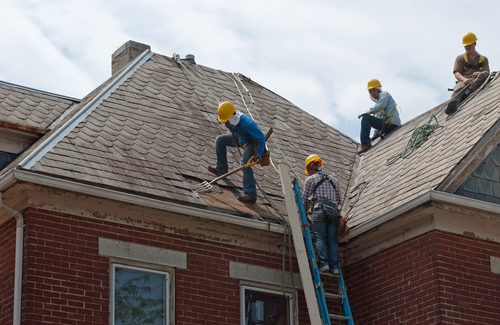 Whether your roof needs minor repairs or you need an entirely new structure, finding a reputable and experienced roofing contractor is crucial. If you don’t do your research, you could end up needing more extensive repairs than originally required. There are several steps you should take when looking for a provider to ensure the job is done right the first time. The first thing you should do when your roof needs repairs or replacement is ask for referrals. Check with your friends and family to see if they have a local company they recommend. If not, search for local roofing companies online and read reviews for them. Check to see if they’re a Better Business Bureau®-accredited business and what their rating is. An established company with good ratings and reviews is more likely to not only do a good job, but to also offer warranties and honor them. Once you’ve found a few local companies with good ratings and reviews, check to see if they’re licensed and insured. This means they can legally work in your area and they have insurance coverage for any injuries or other damages that might occur. A non-insured company could leave you responsible for damages they cause at your home or business. Roofing contractors should also be willing to give you a quote in writing. This should include the total cost of the job, an estimated timeline, and whatever warranties they offer. If a candidate is unwilling to supply this information, look elsewhere for services. Finally, remember that you should never feel pressured to sign a contract with anyone. If a contractor tries to get you to sign on the dotted line before you’ve had time to review the document thoroughly, they likely aren’t honest. Choosing a roofing contractor for your roof repair doesn’t have to be a difficult process when you mind the above information. If you want an experienced and dependable company to do the job, call Interstate Roofing & Waterproofing. This Onalaska, WI-based residential and commercial roofing company does roof repairs throughout Wisconsin, Iowa, and Minnesota. Call us at (608) 783-2106 to request a quote.